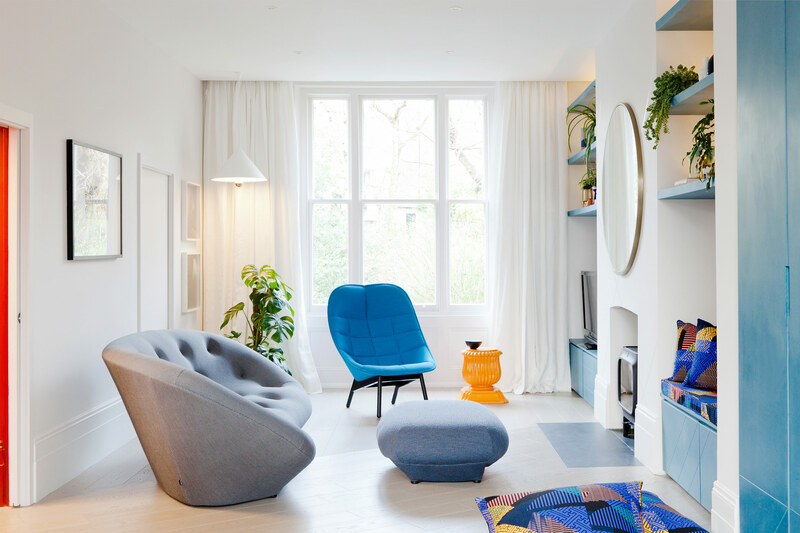 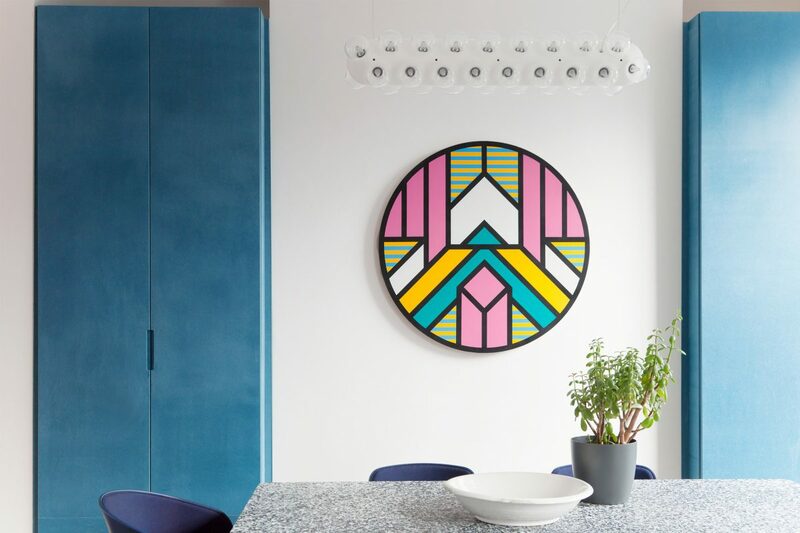 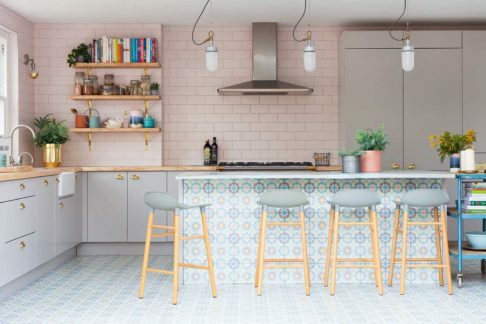 This Playful Family Townhouse is a multifunctional, open plan living space united by our bold use of colour, pattern and sculptural forms. 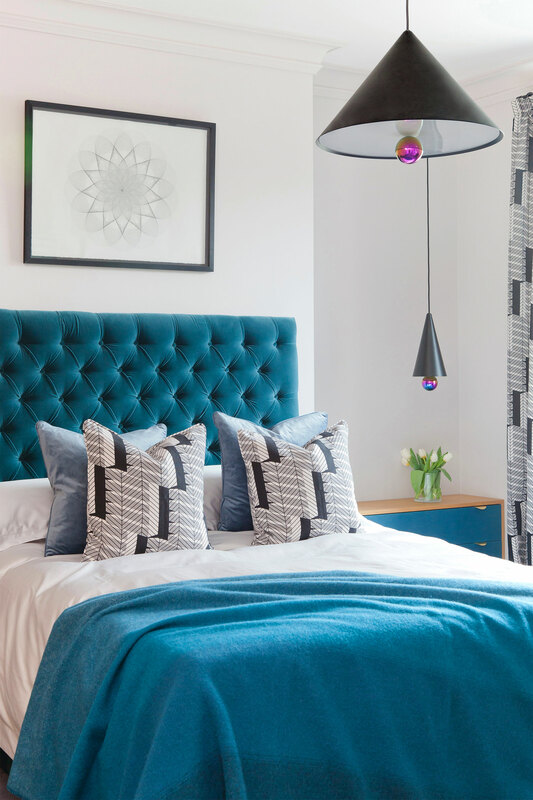 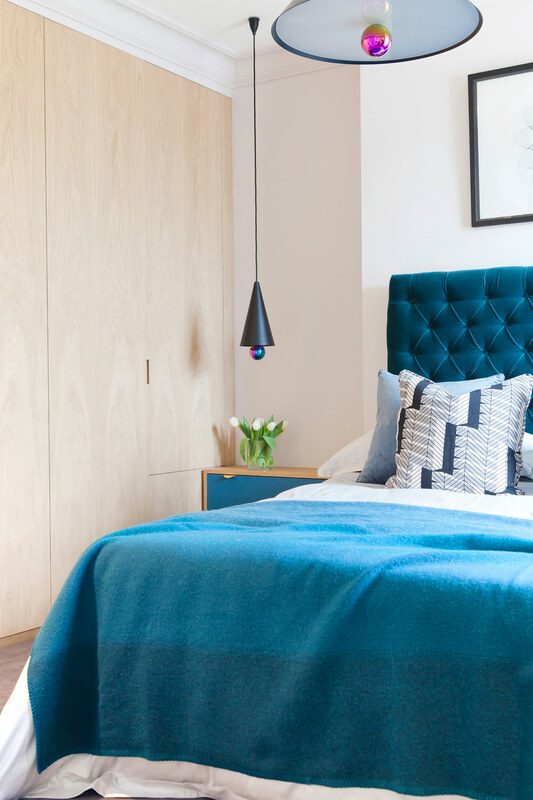 Originally 3 flats, now with 5 generous bedrooms and 3 en-suite bathrooms. 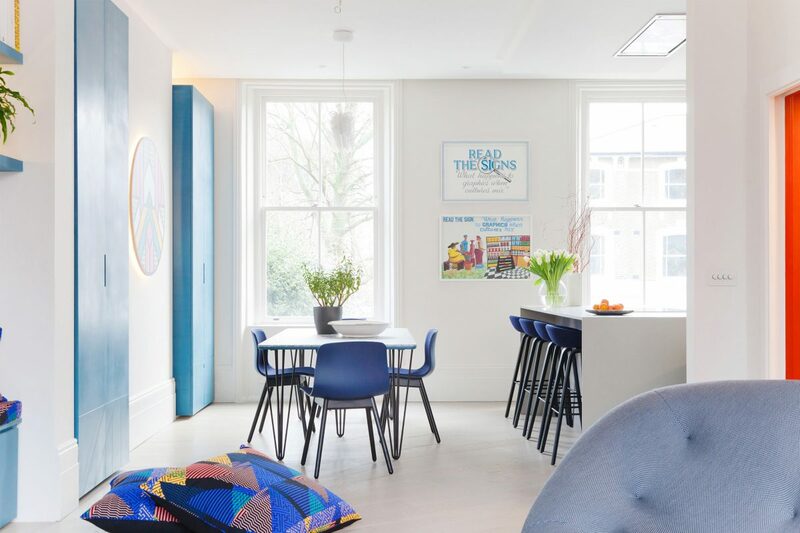 It’s packed full of clever storage solutions and exciting new materials with eco credentials like the bespoke recycled plastic dining table. 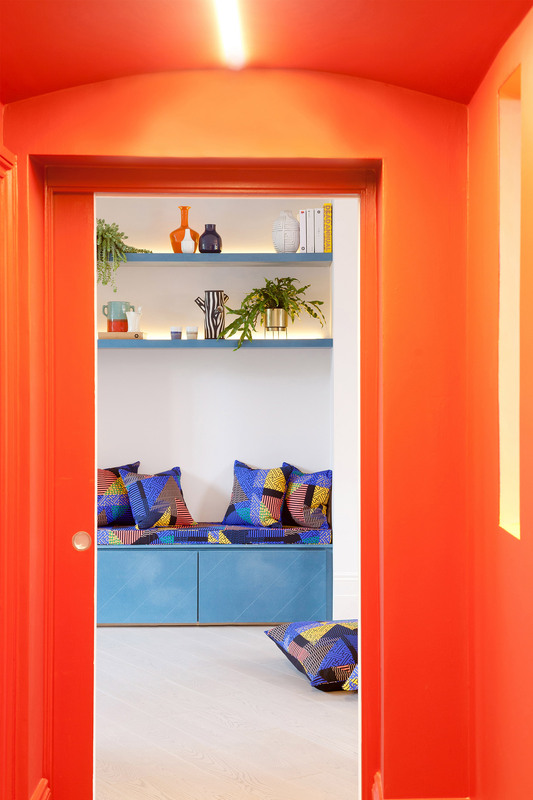 Connecting the bright, gallery like spaces, we created a moment of compression at the entrance to the main living space with a richly coloured, curved ceiling tunnel. 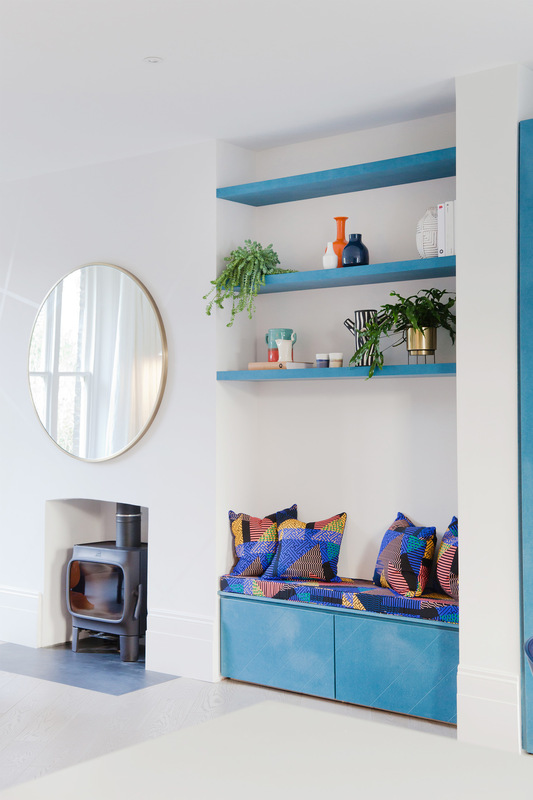 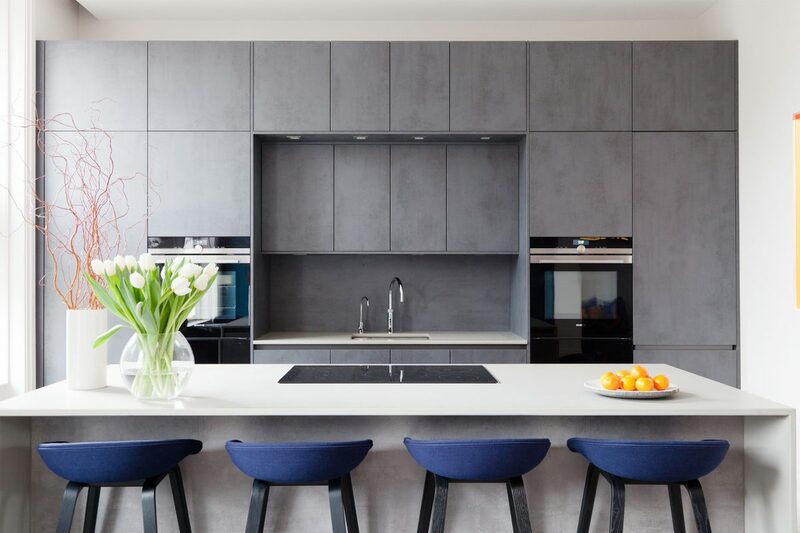 The bespoke geometric fabric draws you though the ‘tunnel’, creating a focal point and seat within the built in shelving that connects the living and dining spaces. 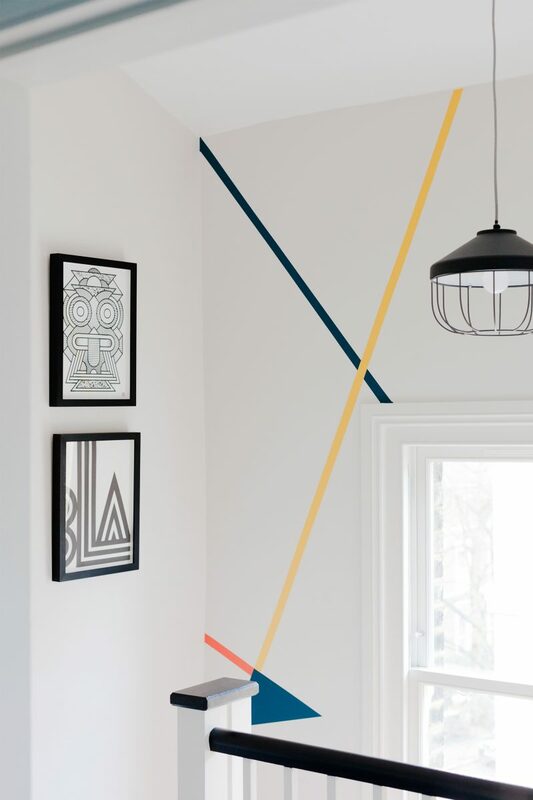 Our geometric design for the engineered wooden flooring, with brass trim detail, gives an unexpected twist underfoot. 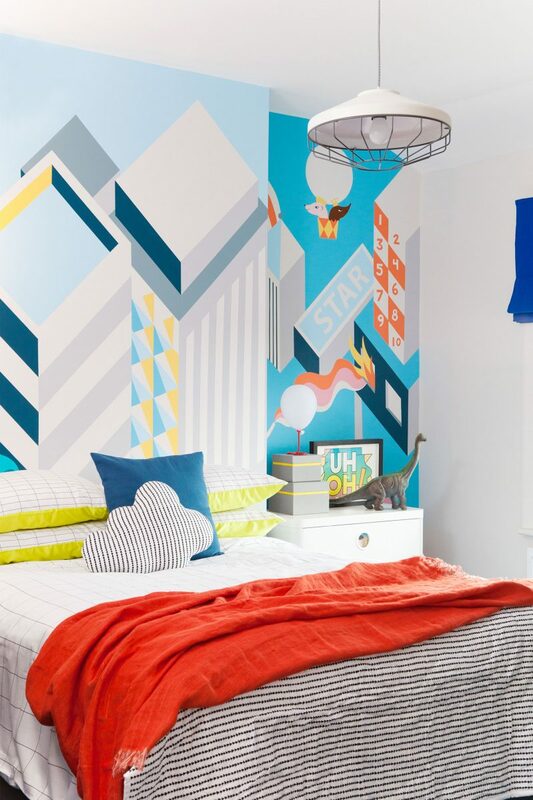 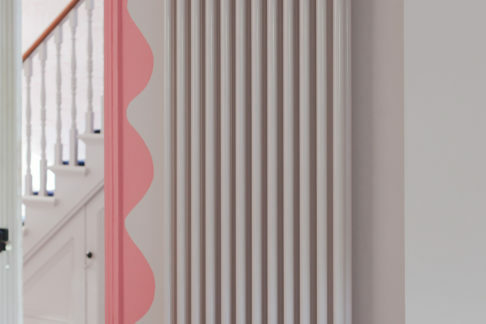 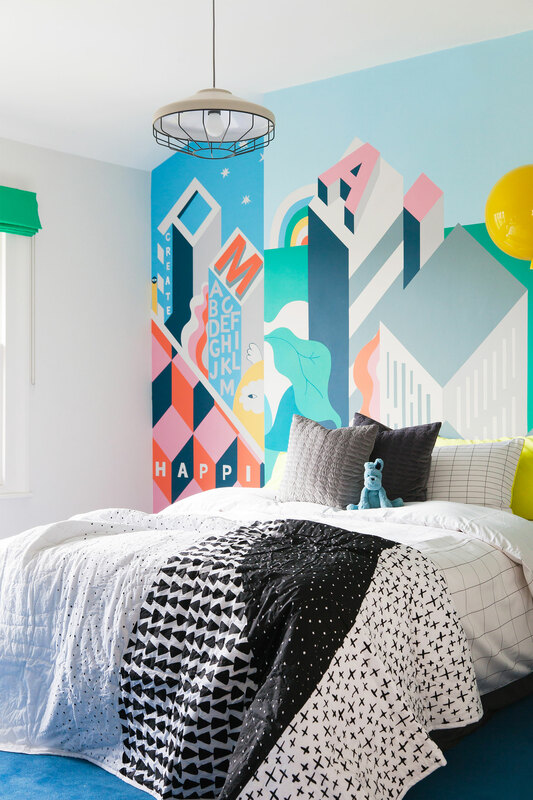 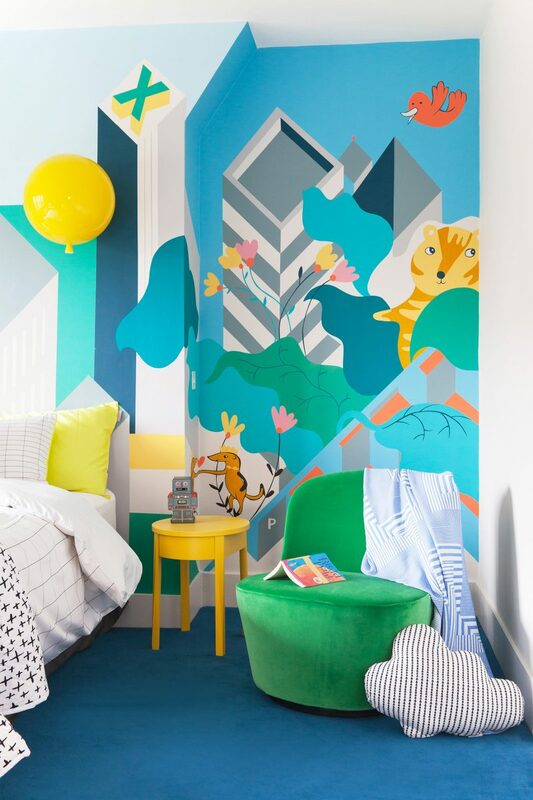 We commissioned wall murals to give a through line of colour, leading up to an explosion of fun for the children’s rooms in the loft conversion. 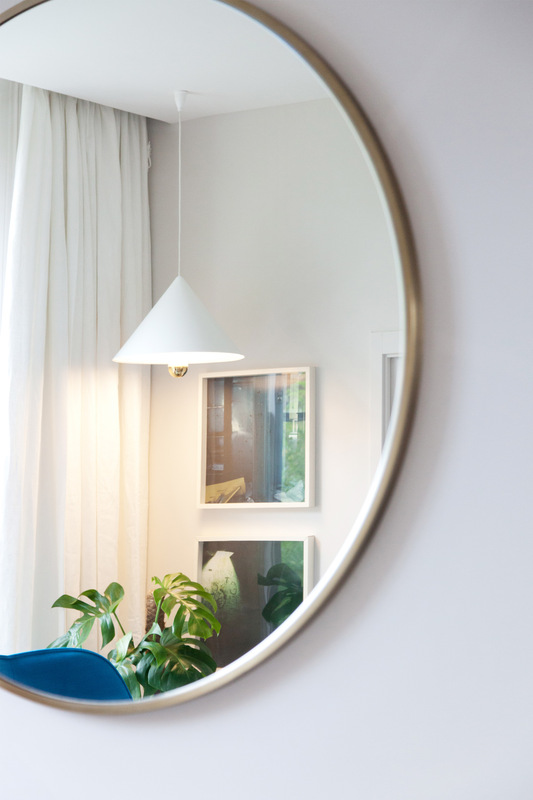 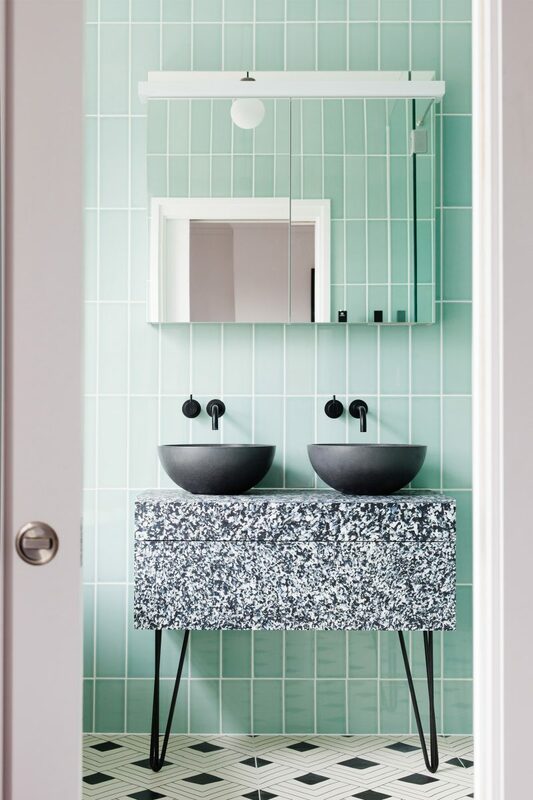 As seen in Casa Vogue.